Melt chocolate in a double boiler or a heatproof bowl set over a pan of simmering water, stirring constantly with a rubber spatula. Pour into baking sheet, and spread in an even layer. Immediately sprinkle pretzel pieces in chocolate. Then drizzle with caramel and sprinkle salt over top. Refrigerate for 1 hour or freeze for 1/2 hour or until firm. Peel off foil, and break bark into pieces. Note: If you unsure how to set up a double boiler, my good friend Rachel can help you. Check out here instructions here. 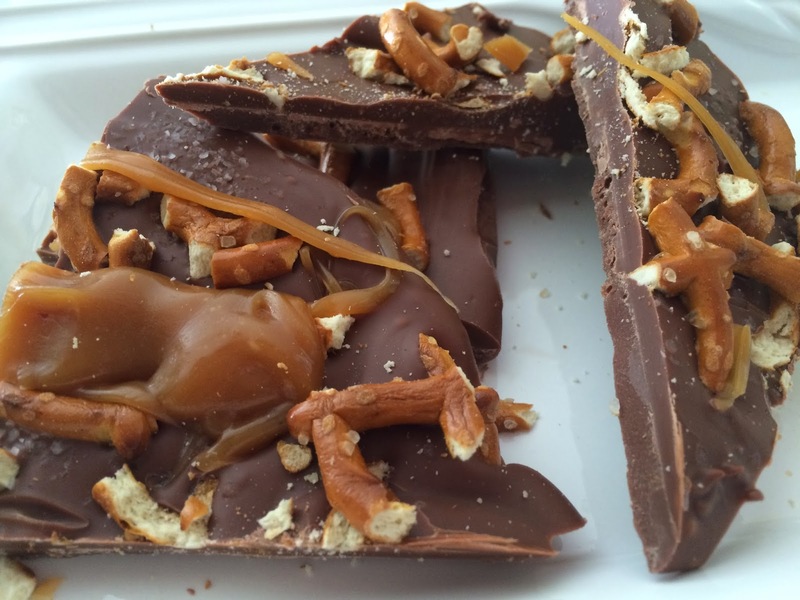 Check out the rest of the Top Ate Holiday Bark Recipes.